(Rome). 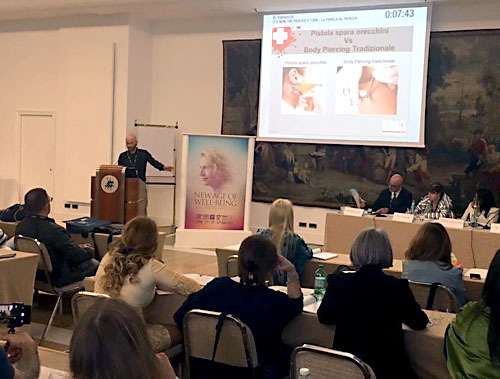 This year, one of the most important events in the medical field was organized, the National Congress of the Italian Society of Aesthetic Medicine. It took place in the prestigious Hotel & Resorts Cavalieri Waldford Astoria in Rome, in the heart of the capital, on days 12,13,14 May 2017. 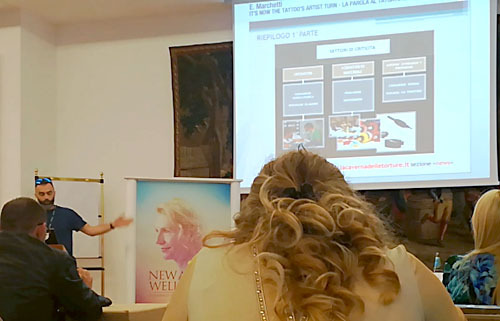 Main objective: reconstructing the psycho-physical equilibrium of the healthy individual that includes general well-being and the protection of public health; Useful to improve the quality of life of their age and to maintain the optimal mental and physical condition over the years. Aesthetic Medicine completes its intervention in achieving and sustaining health – as recommended by the World Health Organization – as “an expression of a condition of psychological and physical well-being and not as absence of illness. Individual health, prevention and psycho-physical integrity continue to be one of the main goals of APTPI (Piercer Association and Italian Professionals Tattooers) which is achieved through a study that analyzes sanitary hygiene techniques and the proper maneuvers for practicing practices Body piercings and tattoos. In the same meeting between the two disciplines, credit and importance is given to the professional skills of the body artist. This year, our chairman, Valsecchi Bruno as rapporteur, has exposed very clearly and directly the dangerous complications associated with the drilling of the earmarked gun and the need to revise the order on the guides outlined by the Ministry of Health Date back to 1999. An invitation to promote more in-depth and up-to-date studies on this discipline in technical execution and biosecurity. Of great impact was the intervention of the Tuscan tattoo Emiliano Marchetti. Through photographic material from the network has shown cognitive gaps and neglect from the practical point of view of some operators in the use of D.P.I. (Personal Protective Devices) adapted to each individual procedure, thus endangering themselves and public health in general. The participation of the aforementioned personalities of the body piercing field at the congress has reached the foreseen goal of bringing within the medical community an interest in the issues examined at home.